Fabrications, Fabricators of Stainless & Mild Steel, Bridgwater, Somerset. Our skilled fabricators have many qualifications including NVQ's and City & Guilds. We are committed to training and developing our engineers to ensure we meet or exceed our customer’s expectations for a quality end product. We have a large fabrication shop with multiple process welding plants, gas and laser cutting facilities, automatic band saw and a 100 ton iron worker for cropping and punching. 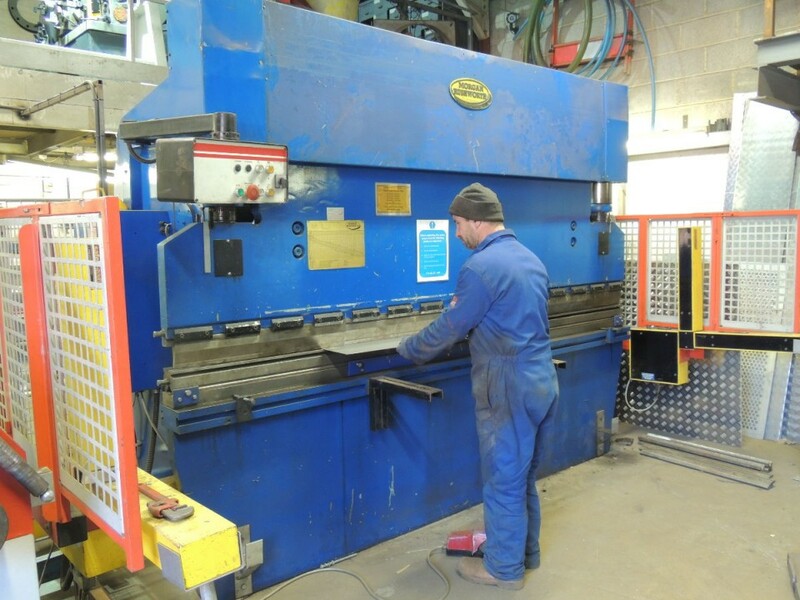 Our machine shop capabilities include a 150 ton 3m press brake, 3m guillotine, horizontal brake press, plate rollers, section rollers, tube benders, turning lathe and pillar drills. We specialise in the manufacture of platforms, staircases, hand railings, flooring panels, lifting gantries, gates, barriers and specialist pipe work.